There are some great essential oil blend recipes that make wonderful homemade remedies. Since I learned about the benefits of clove bud oil for oral health, I have enjoyed the benefits of these essential oil blend recipes for toothpaste and mouthwash. 4 to 8 T. baking soda- I use about double the baking soda most people use because I like my toothpaste to be thicker. Put coconut oil in a regular small to medium size container (glass is preferred). Add 4 to 8 T baking soda (I like my toothpaste thick so I add 7 to 8 T). I love baking soda. 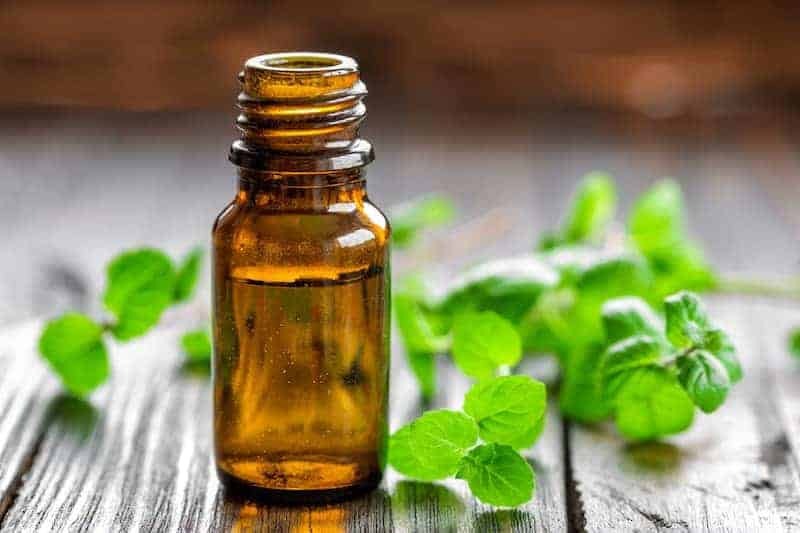 It can whiten, decrease plaque, and deodorize your mouth and teeth.¹ Add 20 drops of peppermint oil which can freshen bad breath and soothe sore gums or teeth. Add 20 drops clove bud oil which contains antimicrobial, antifungal, and antiseptic properties that can fight bacteria and reduce pain if you have any achy spots in your mouth. I have been told that clove bud oil is superior to clove leaf oil. However, I have never tried clove leaf oil to know for certain that is true. Put completed toothpaste mixture into your favorite small storage container with a lid. ¹One review of data from five controlled clinical studies found that toothpaste containing baking soda “enhanced plaque removal effectiveness of tooth brushing to a significantly greater extent” than brushing with a non-baking soda toothpaste. J Clin Dent. 2008;19(4):111-9. My favorite brands of essential oils are Radha, Plant Guru, Majestic Pure, and Healing Solutions, all found on Amazon. I use an empty 20 to 24-ounce water bottle. Pour the filtered water into a medium bowl (glass is preferred). Add 8 tsp baking soda and stir. With a funnel, pour mixture into the empty water bottle. Add the clove bud, tea tree, and peppermint oils. Shake and enjoy your homemade mouthwash. I much prefer this homemade mouthwash over store brands. For increased benefits, I hold the mouthwash in my mouth for five or so minutes before spitting out. One of my favorite homemade remedies using essential oils for healing wounds is the following recipe. Put all essential oils and ingredients into a favorite container with a lid. Stir. Apply to affected area multiple times a day for best results. My friend had a couple of skin cancers. She used black salve on them and then followed up with the “healing solution recipe” above, applying multiple times a day. She now has no cancer or any scars. My son has a large scar that we didn’t treat for a couple of months after the occurrence. Using the “healing solution recipe” above, applying multiple times a day greatly reduced and improved his scar but it is still visible. The trick is applying the solution asap after the occurrence. The sooner the better. This homemade detangler works much better for me and also smells better than store brand detanglers. Place both essential oil drops into the 2-ounce spray bottle. Add the apple cider vinegar and the water. Shake well. Spray hair before combing. Hello, keep up the writing. and get pleasant facts from here every day.